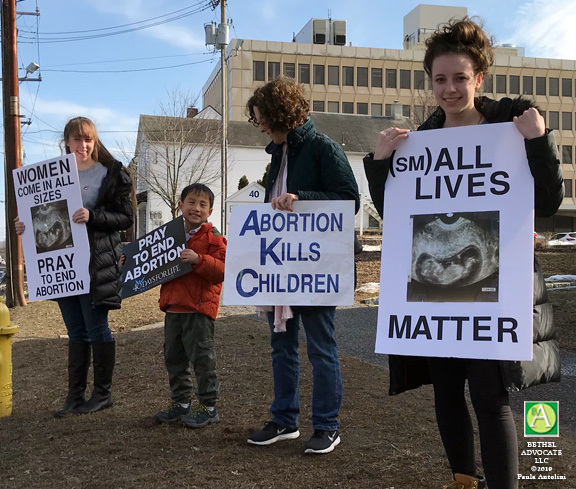 Supporters stand in prayerful protest against abortion in Danbury, CT, on March 14, 2019. Yesterday’s warmer weather was a perfect day for the “40 Days for Life” supporters to stand in prayerful protest against abortion during the season of Lent. 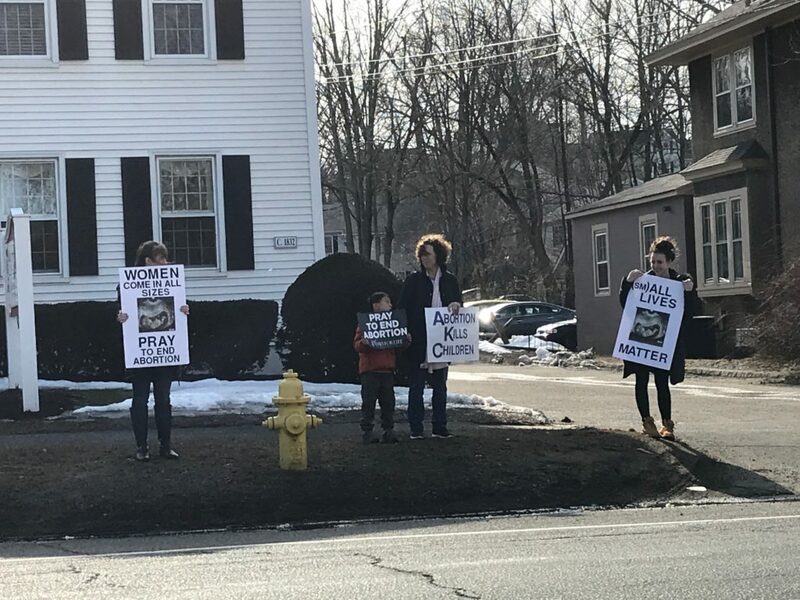 A group was spotted in front of Planned Parenthood on Thursday, March 14th, at 44 Main Street, Danbury, Connecticut. CANDLELIGHT PRAYER RALLY / Mar 19, 2019 / 6:00 PM / Candlelight Prayer Rally for the Feast of St. Joseph, spouse of the Blessed Virgin Mary and foster father of Jesus Christ. Candles will be provided. If you haven’t picked up a 40 Days for Life sign, please stop by and pick up one (or 2). There will also be pamphlets for sidewalk counseling or to simply give to teens passing by the abortion clinic. EVENT ADDRESS: 44 Main St, Danbury, CT 06810, USA / Get directions to this event. CANDLELIGHT PRAYER RALLY / Mar 25, 2019 / 6:00-7:00 PM / Candlelight Prayer Vigil for the Feast of the Annunciation of the Lord. Candles will be provided, and other materials (signs, hand warmers, pro-life pamphlets) will be available for the taking. EVENT ADDRESS: 44 Main St, Danbury, CT 06810, USA / Get directions to this event.